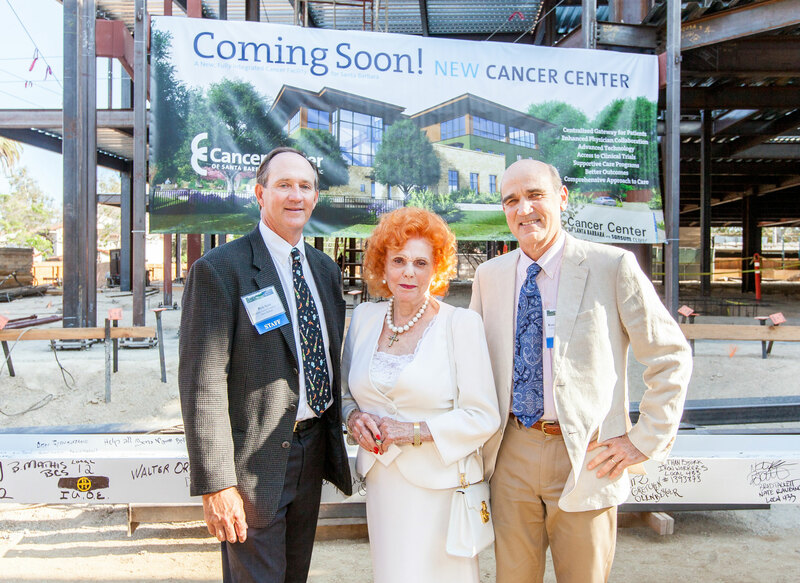 Rick Scott, left, president of the Cancer Foundation of Santa Barbara, philanthropist Lady Leslie Ridley-Tree, and Dr. Kurt Ransohoff, CEO and chief medical officer of Sansum Clinic, at a beam signing ceremony Aug. 19 for the Cancer Center of Santa Barbara. A merged Cottage-Sansum could attract more philanthropy for specialty care. State and federal regulators are grappling with a deal that could reshape the region’s health care landscape. The proposed merger of Cottage Health, operator of the only hospitals in South Santa Barbara County and the Santa Ynez Valley, with Sansum Clinic, the largest physician practice in the area, raises questions about cost, quality and access to care. 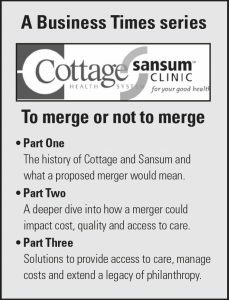 Unlike more common horizontal mergers where hospitals combine to create geographic clusters to drive a more efficient system, the Cottage-Sansum deal is a so-called vertical merger, where one entity will manage everything from office visits to specialist treatments to complex procedures. Here, the picture is more nuanced. Anecdotal evidence suggests some greater efficiency, yet it’s hard to pin down how prices may be affected. Achieving cost savings by implementing a streamlined system or opening up markets to more insurers to drive down the cost of care can be difficult. One complication is that regulators have relatively few outcomes to study, said Ted Frech, a UC Santa Barbara economics professor. While Cottage and Sansum officials have made the case that a combined entity will be leaner and more cost-effective, critics worry that the cost of care will increase and access to a wider range of insurers will be curbed. The Federal Trade Commission and California Attorney General have been reviewing the proposal for roughly three years. Cottage Health’s network of three hospitals, including its Santa Barbara flagship, would join forces with Sansum’s 23 outpatient sites spanning Santa Maria to Santa Barbara. 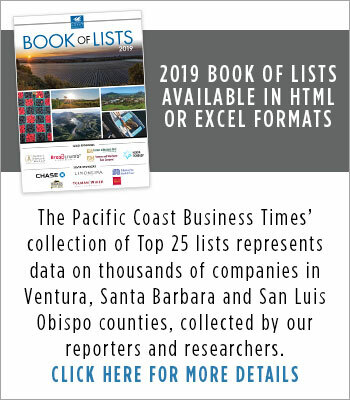 Cottage and Sansum executives have said they couldn’t speak with the Business Times because their attorneys do not want them to comment in the midst of the review. Cottage Health has 3,667 employees at its three hospitals and related facilities. Santa Barbara Cottage has $751 million in annual revenue and a foundation with $288 million in assets. Sansum has about 1,000 employees, $265 million in annual revenue and a foundation with $122 million in total assets. Vertical mergers don’t “fit into the historical view of how markets work,” said Glenn Melnick, an economist at the University of Southern California’s Schaeffer Center for Health Policy & Economics. One of the most important recent trends in U.S. health care is hospital acquisition of physician practices, according to a 2015 study by David Dranove and Christopher Ody of Northwestern University, and Cory Capps, an economist and partner at Bates White Economic Consulting. There are examples of vertical integration in organizations like Oakland-based managed care provider Kaiser Permanente that are efficient – they deliver good outcomes at an effective cost, Capps said. But he said what’s lacking is “strong empirical evidence that those have led to systematically reducing price or spending cuts,” he added. The optimistic estimates predict that vertical acquisitions have no effect on pricing while the more pessimistic view expects a modest increase in prices, but typically not as significant as horizontal acquisitions that create market power, Capps said. The Northwestern-led study found that physician prices increase nearly 14 percent post-integration and about a quarter of the increase can be attributed to the exploitation of contracting provisions that allow billing of services at generally higher hospital rates. Vertical acquisitions can lead to more referrals and increased bargaining power, which could all drive up cost, the study concluded. A study by Laurence Baker, M. Kate Bundorf and Daniel Kessler of Stanford University titled “Vertical Integration: Hospital Ownership Of Physician Practices Is Associated With Higher Prices And Spending” came to similar conclusions. 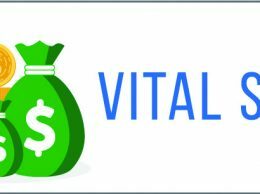 While vertical integration can improve communication across care and thus reduce spending and increase quality of care, it can also increase providers’ market power and facilitate “inappropriate referrals,” the study found. “The government, through Medicare, is stimulating consolidation through accountable care organizations, and regulatory agencies are at odds with other parts of the federal government,” USC researcher Melnick said. The FTC closely analyzes only a handful of health care provider mergers every year out of hundreds that are waved through without opposition. Essentially, the FTC presumes that the large majority of the deals pose little if any risk of harm to competition. The commission singled out the 1998 acquisition of Columbia Cape Fear Memorial Hospital by New Hanover Regional Medical Center in North Carolina, in a 2009 study it commissioned on the effect of hospital mergers on inpatient prices. The study revealed mixed results on pricing and did not come to a definitive conclusion on pricing influences. At the time of the deal, New Hanover had 546 beds and Cape Fear had 109 beds in its small community hospital about 6 miles away. They were viewed as substitutes for acute care services. Two of the insurers experienced substantial post-merger price increases relative to the control group of hospitals. The post-merger price changes for another insurer, however, had virtually no effect, while the fourth insurer experienced a significant price decrease. 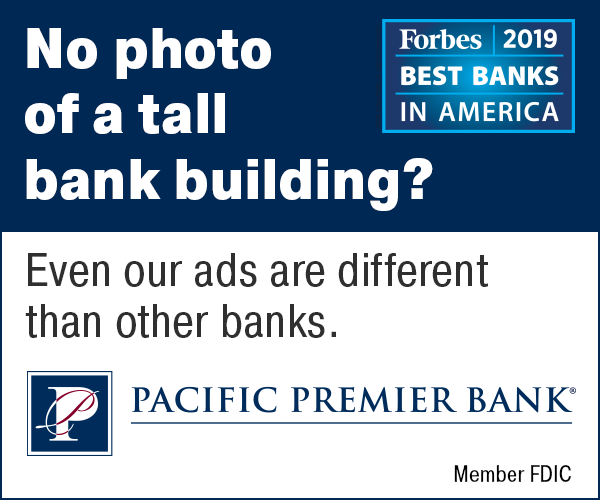 Possible explanations for such variations include the insurers’ bargaining abilities, the types of plans that they offer and the services that they provide, the study said. Capps gave examples of hospital mergers that appear to have had positive impacts including Dallas-based Tenet Healthcare Corp.’s acquisition of the struggling 209-bed Turlock’s Emanuel Medical Center hospital in 2014. The 2008 acquisition of the 283-bed Condell Medical Center hospital by Advocate Health Care in Lake County Illinois also lead to substantial improvements, he said. A health care merger in Idaho gives a window into the complexities of vertical integration. The merger, initially approved in 2012, combined the six-hospital St. Luke’s Health System and its physicians in Boise with the 44-physician Saltzer Medical Group in Nampa, the state’s second largest city. The FTC filed a complaint that claimed it would’ve left the combined provider with about 60 percent market share of primary care physicians in Nampa. Judge Lynn Winmill, of the U.S. District Court in Idaho, ended up ordering St. Luke’s to divest Saltzer Medical Group. St. Luke’s argued that the acquisition would facilitate a more integrated health care system. While Winmill agreed, she said “there are other ways to achieve the same effect that do not run afoul of the antitrust laws and do not run such a risk of increased costs,” according to her ruling. “The combination of St. Luke’s and Saltzer would have given the merged hospital system the market power to demand higher rates for health care services, ultimately leading to higher costs for both employers and consumers,” the then FTC Chairwoman Edith Ramirez said in a Jan. 2014 statement. Cottage lined up a buyer for its outpatient surgery center at 2403 Castillo St., hoping to ease the FTC’s concerns about the combined institution’s concentration of services and pricing power. The deal with Pasadena-based United Surgical Partners International will go through if the merger is approved. Cottage and Sansum executives took a page out of the FTC’s playbook when it required Surgery Partners in Florida to divest an outpatient surgery center to protect competition and facilitate its $792 million Symbion Holdings Corp.’s acquisition. Because Surgery Partners and Symbion had the only two multi-specialty outpatient surgery centers in the Orange City area, it would have likely enabled the combined firm to increase rates for those services. The FTC complaint signaled that regulators want independent doctors to have unrestricted access to facilities for outpatient procedures. Public perception of the proposed Cottage-Sansum merger could have an impact on future community relations. The California Endowment’s Dr. Anthony Iton said philanthropic contributions might face a higher bar if the merged entity is perceived as overly large and dominant in the region. However, as for high quality service lines like cancer centers, it’s best not to have two institutions competing against each other. “You have this real tension between the needs of low-income workers and the less insured versus the relatively wealthy who want highly specialized boutique care,” Iton said. Sometimes the specialized care lines are developed at the expense of community needs, he said. “What suffers with that is primary care, emergency services, alcohol and drug treatment — things that are more the bread and butter, lower profile and higher demand but they come without the resources and prestige,” Iton said. Take the new cancer center to be named after philanthropist Lady Leslie Ridley-Tree. The Cancer Center of Santa Barbara, which merged with Sansum Clinic in 2012, will manage the $68 million facility. More than $33 million has been raised for the center — $10.7 million of which came from Ridley-Tree. Cottage Health donated $2.5 million, officials said at the Aug. 19 beam signing ceremony. “In general in philanthropy, people like to do big things or things that really tug on the heartstrings,” Iton said. There are some proactive approaches that could make the health care market more competitive even if the merger goes through. One solution is to require independent contract negotiations for physician services and inpatient care, UCSB’s Frech said. The more that is done in the light of day with explicit agreements of maintaining services is crucial, the California Endowment’s Iton said. “You want some neutral arbiter city or county official to get them to pledge to maintain the combined total of both organizations for a period of a decade or so because if you don’t get those specific commitments you tend to get a lot of regression,” he said. If the merger doesn’t go through, there might be an opportunity for Kaiser or a Kaiser-like provider to partner with Sansum or Cottage, or both, Frech said. In the meantime, health care costs are rising so fast that they are thwarting economic growth, USC’s Melnick said. Employees eligible for a raise could be skipped over or, if promoted, their raise is spent on higher premiums, he said. “Health insurance premiums will continue to go up because markets are more and more consolidated,” Melnick said. “Health insurers need providers to be part of a network and that leads to higher premiums and employers passing off more of that cost to employees. • Staff writer Alex Kacik wrote this story while participating in the USC Center for Health Journalism’s California Fellowship. Read Part One here and Part Two here. 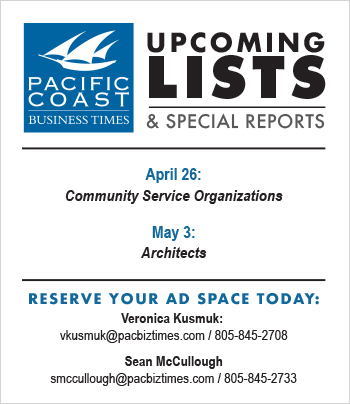 He can be contacted at [email protected]pacbiztimes.com.